Continuously following the possible tenders for local and national organisations, associations. We do have several years of experience in preparing complete bids for events. We take it as a challenge to win bids for International conferences to organise them in Hungary. We gladly prepare presentations in different format (Power Point, Prezi or video), if needed we are happy to present them as well. All the facilities of the certain venu can be presented to you by us personally during a site inspection, which we gladly organise for you. To facilitate the decision making process, we consult and coordinate with the local representatives, to gain experience from first hand. The announcement and handling of the presentations can be realized as part of the online registration services. This way the abstracts and proceedings may be easily and continuously collected and confirmed, letters may be processed allowing access to both the committee members and the opponents. Instead of the traditional paper-based registration, the participants may register online for the conference. to pay with a credit card if they wish to. Our registration services extend to the receipt of the applications, the handling of the complete financial transaction, invoicing, the preparation of the conference bags and badges, and the preparation of invitations for the trips and cultural programs and their distribution along with the whole administration and registration on-site. Naturally, we undertake to maintain correspondence with the participants, we answer their questions; we handle their concerns in relation to the conference, primarily through email. 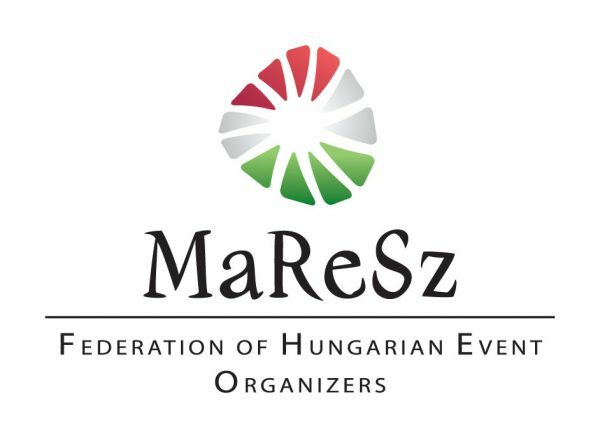 We organize programs, individually catered to the needs of the client and the type of the event/conference, for the participants and the people accompanying them both in Budapest and in the countryside. Our clients may chose from a wide variety of program opportunities from the traditional sightseeing and wine tasting all the way to the special adventure programs. During the preparation and organization of the communal programs we take our client’s needs into consideration and we aim to use innovative ideas at special locations so that the participants leave with an unforgettable experience. The internal design, the decoration and implementation, the light and sound technology, the cultural, musical and entertaining acts as well as the food and drink areas are all formed according to the event’s/program’s characteristics. We are willing to form the design of the conference in terms of both the published documents and the website on the Internet. We provide high quality publishing products (circular letters, posters, programs, abstract booklets, proceedings, tickets, invitations, CD) at a reasonable price and we also undertake to mail the packages to the participants according to the mailing list provided for us. Together with our client we identify the range of supporters based on a list provided to us and our own relationships. We put together sponsor packages taking into consideration the needs of supporters and we also inform the supporters – during a meeting – about the event and the opportunities to appear. Following the negotiations, we undertake to conduct the operative steps of the contracting period with our sponsors/exhibitors, to compile, handle and confirm registration forms for exhibitors, to realize individual needs. satisfying the exhibitors’ needs regarding space, furniture, carpets, energy and anything else, even with the inclusion of subcontractors. Since congresses and conferences nowadays are often accompanied by exhibitions and product introductions, we are prepared for the necessary arrangements. We undertake to keep in constant contact with the exhibitors, along with the preparation of information materials, fliers and catalogs. Based on the individual needs and our knowledge of the location’s specificity, we take it upon ourselves to prepare the division of exhibition places and we also proved the technical equipment. We reliably undertake to process all financial details of the exhibition. Based on our consultation with the client, we prepare a realistic budget. We handle the incoming sums and we constantly keep our client up-to-date with the changes of the financial situation.